It appears that Amazon isn't going to be pulling any punches with making the slew of upcoming pilots as appealing as possible to viewers. Amazon is sparing no expense when it comes to casting its upcoming comedy pilots. 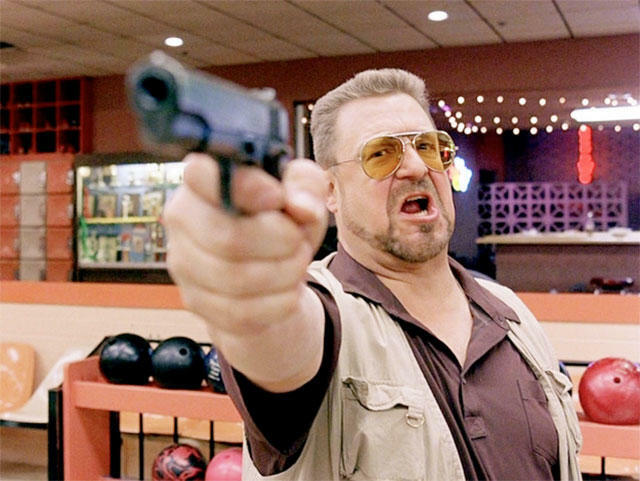 John Goodman, known for a slew of roles over the years from Roseanne to The Big Lebowski, has signed on to star in Alpha House. This comedy pilot from Doonesbury creator Garry Trudeau centers on four U.S. senators living in a rented house together and will see Goodman portraying North Carolina Senator Gil John Biggs. Bebe Neuwirth, best known for playing Lilith on both Cheers and Frasier, has signed on to musical comedy Browsers about four young people getting their first jobs as a news website. Neuwirth has an extensive background in Broadway shows, so her casting in this makes total sense. Fans of Arrested Development will recognize Jeffrey Tambor from having portrayed George Bluth, Sr. and Oscar Bluth when he joins The Onion Presents: The News. What exactly this show will deal with is still unclear. No one is sure if it's a fake news show or a behind-the-scenes type look. While these are some pretty good names, there is no guarantee any of these shows will move past the pilot episodes. Amazon Studios plans to film a total of six pilots and then show them for free to customers of the company to decide which ones should go to a full series. Stacking the deck with known actors with fan bases, no matter how niche, is going to make that process all that more difficult. Adding to the mix at Amazon, and apparently not part of the six pilot show test is Zombieland. The series still hasn't received an official announcement, but it has begun casting. Based on the 2009 film, the original writers are returning to continue the story, but as the movie starred some high-profile actors, everyone is going to need to be recast. Tyler Ross has been cast as Columbus, the role portrayed by Jesse Eisenberg originally, and the youngest member of the band of survivors, Little Rock, will be played by Izabela Vidovic as opposed to Abigail Breslin. Still no word on when this will begin showing on Amazon. How Amazon can keep saying Prime Instant Video is just an added bonus for its Amazon Prime subscribers is beyond us. This is sounding more and more like a Netflix competitor by the day. Netflix has launched only a few original series so far, and Amazon is ready to come out rapid fire with multiple shows. The argument could be made that Netflix is going for quality over quantity when it ropes in people such as Kevin Spacey for House of Cards, but the actors Amazon are snapping up are no slouches.